Thinking of throwing a big party? Perhaps booking the usual ballroom, and function rooms have crossed your mind but what you’re looking for is something with a little more oomph! 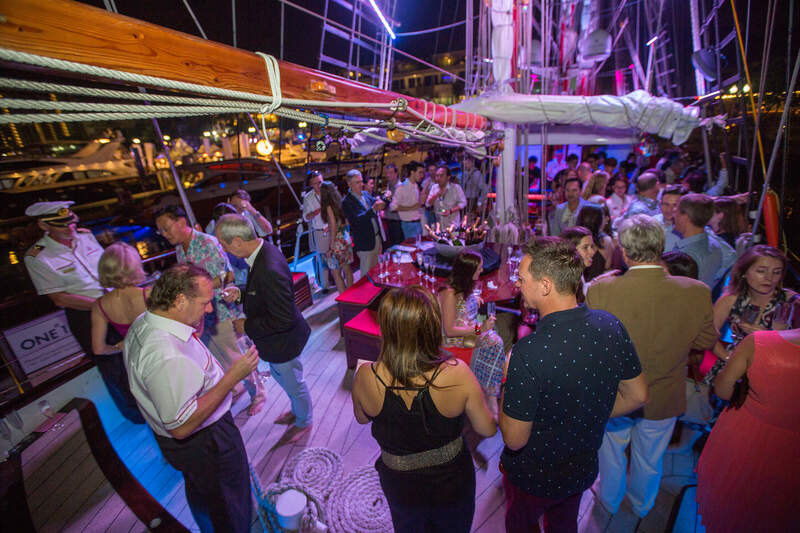 If you’re going to hold a glamorous event for a group of up to 100 pax, hosting your gathering on a yacht could be just what you’re looking for. 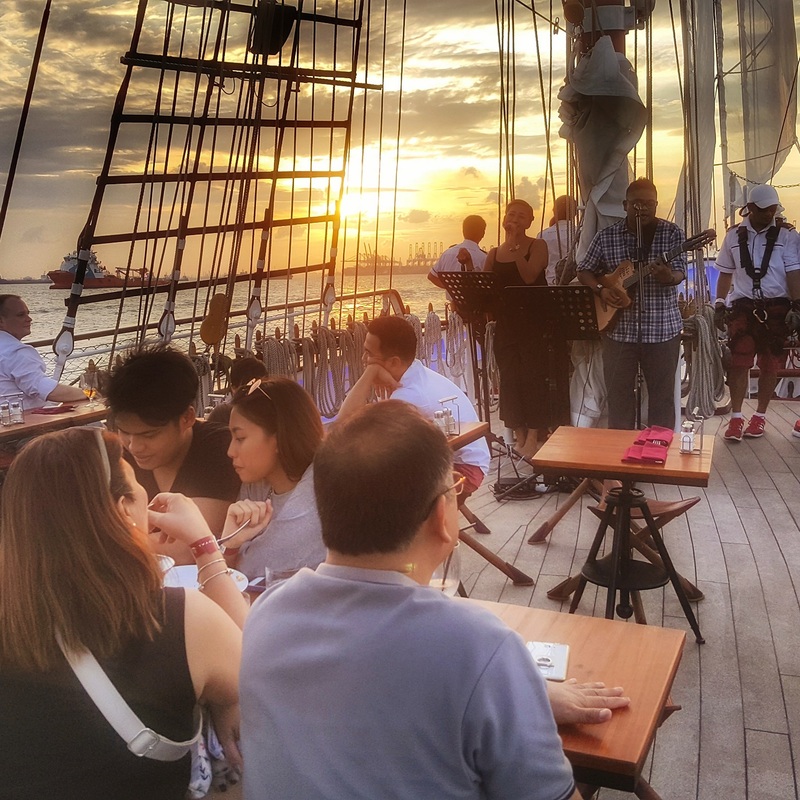 With Royal Albatross it is now possible to hold a large gathering of more than 100 Pax out at Sea and delight your guest, she is the largest Yacht available for charter in Singapore and boasts of a Sailing Capacity of 130 Pax and Dockside Capacity of 180 Pax. 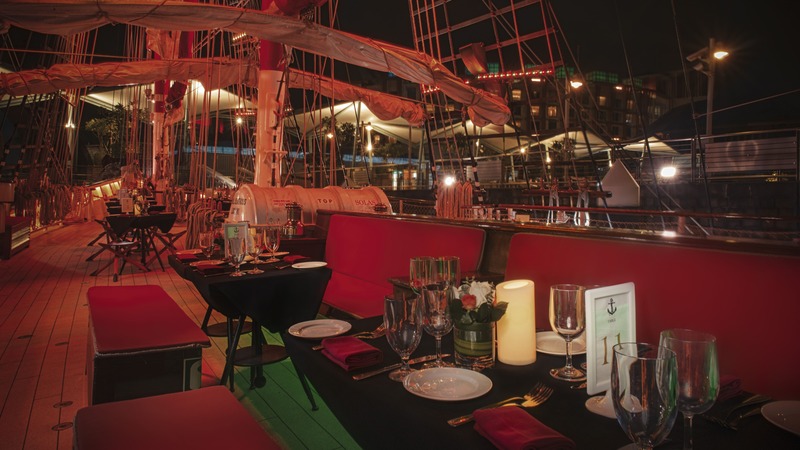 Dining on a traditional ship is definitely an experience you and your guests will remember. Featured as Bruce Wayne’s private yacht in The Dark Knight, Royal Albatross definitely promises a luxurious and elegant ambience. Additionally, we’ve also got an onboard catering team and kitchen that can serve both small and big groups – just let us know how many guests you’re expecting! 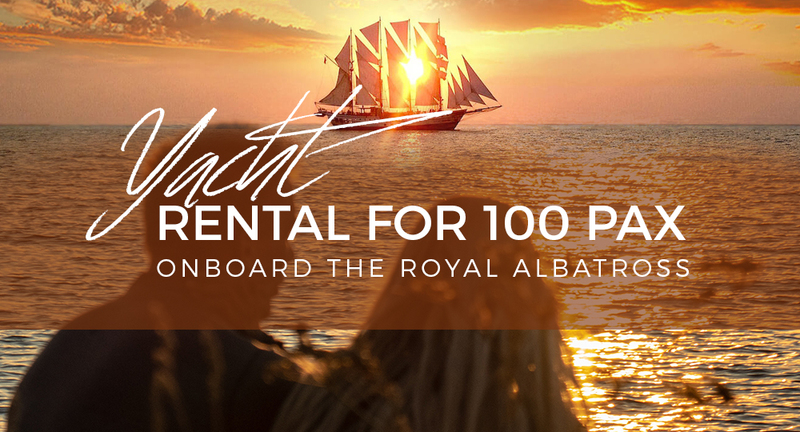 On Royal Albatross, you can choose from our customizable menus, arrange a buffet spread, or if you prefer, just some light bites and cocktails. Not only do we cater to a large group, but we can also make arrangements for your preferred dining style. Want to inject some life to your gathering? Let us know and we can arrange a line-up of entertainment just for you. From magicians to singers, DJs, and dancers, we’ve got a reliable proven pool of talents that can brighten up your yacht party! Planning an event for a large group can be a headache but if you’re throwing a yacht party with us, we’ll even manage it for you and give you a hand to find the right entertainers – its all part of the service!